The AHA 3 day diet is known by many names – Cleveland Clinic Three-day diet, Military Diet, the Cardiac Diet, the American Heart Association diet, and even the Birmingham Hospital Cardiac Unit diet. No matter what name you associate with it, this diet is still considered as one of the world’s most popular diets. Considering the fact that this diet does not require you to invest in a specific book, meal replacement, supplement, dietary pill, book, video or any special equipment, it is virtually free. 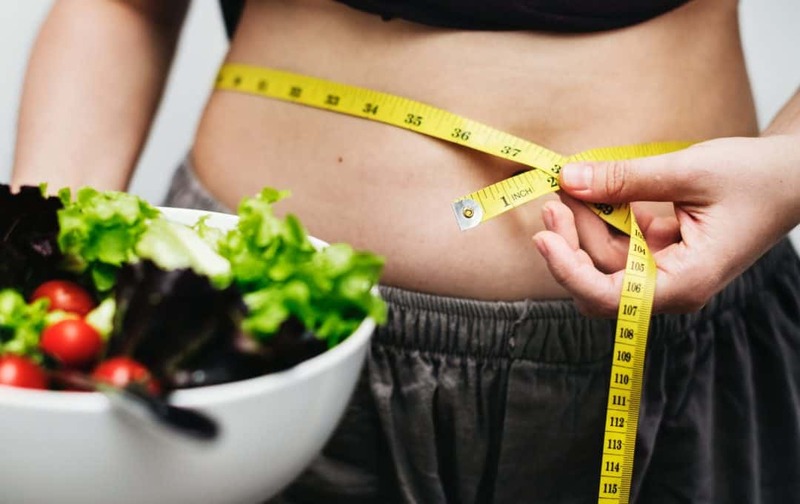 The diet claims to help you lose weight quickly and people claim to have lost up to 10 pounds (4.5 kg) within the first thirty-six hours itself! he hard-core diet program. Owing to the ruthless and restricted diet plan, this diet is considered unhealthy and generally a poor choice for weight loss in a steady, sustainable manner. However, if you are in a situation where you need to quickly lose the pounds in a short time, this diet could help you get closer to your goals. By restricting the amount of calories you consume through meticulously planning a meal plan, this diet is useful in getting lean when you may not have too much time on hand. Now that we’ve gotten that out of the way, let’s take a closer look at the AHA 3 day diet. Is it really effective? Should you give this a go? In this article, let’s take a look at all these questions and understand this diet. 4 The AHA 3 Day Diet Doesn’t Last For Just 3 Days! It should come as no surprise to anyone that this diet has an incredibly rigid and strict diet plan. The three day AHA diet comes with highly specific instructions for breakfast, lunch and dinner with hardly any room for substitutions or replacements. Breakfast: Single slice of toast accompanied by no more than two tablespoons of peanut butter, half of an entire grapefruit, one cup of black coffee or tea. Do not add any sugar. Additionally, by choosing multigrain toast, you will add more nutrients to your diet. Lunch: Single slice of bread or toast, half a cup of tuna, one cup of black coffee or tea. No additional sugar. Dinner: Three ounces of lean meat (pork, beef, chicken or fish), one cup of boiled, blanched or stir-fried green beans, half a yellow banana, one small apple, one cup vanilla ice cream. A sugar-free vanilla ice-cream is surely a better option. However, even if it is not sugar-free, the diet will still be effective. Breakfast: Single slice of toast or bread (preferable multigrain), half a yellow banana, and one hardboiled egg. You could scramble your eggs or even poach them without any additives if you’re not a fan of hard boiled eggs. They key is to keep it fat-free and avoid adding any cooking spray, butter, oil or margarine. Lunch: One cup cottage cheese, one hardboiled egg, and five saltine crackers. Ensure that you pick saltine crackers with the least possible amount of sugar. This means staying clear of flavoured variants. Dinner: Two hot dogs without buns, one cup of boiled, steamed or stir-fried broccoli, half a yellow banana, and one cup of sugar-free vanilla ice cream. Breakfast: Single slice of cheddar cheese, one small apple, and five saltine crackers. Some people claim that green apples have even lower sugar content than red variants. Lunch: Single slice of bread or toast and one hardboiled egg. To mix things up, you could poach or scramble the egg. Dinner: One cup of tuna, half a banana, and one cup vanilla ice cream. Do not add any mayonnaise or dressing to the tuna. To see the results that are promised by this diet, it is very important to strictly adhere to the meal plan given above. Along with this, it is also necessary that you consume a lot of water. In any case, water has a host of health benefits to offer. But when you consider how restrictive this diet is, water consumption becomes essential to aid easy digestion, keep you hydrated and even to make you feel full through the day. You are allowed to drink water, diet soda, and unsweetened black coffee or sugar-free tea throughout the day if you prefer. They also advise you to use only salt, pepper, mustard and lemon juice as seasoning during this diet. If you absolutely need some spice or flavour, you can add paprika, cumin or dried herbs to your meal as they have hardly any fat or calorie content. Do not snack in between your meals and if possible, consume your meals at the same time on each day. People who have religiously followed this diet and seen the results will advise you not to change your diet too much. Doing so can supposedly stop the rapid weight loss that you are aiming for. The main reason for this is that the specific food combinations that makeup the AHA diet’s meals are known to stimulate an elevated metabolic rate. When you change the items that are recommended, the combination is disturbed and the changes you desire do not end up occurring. The AHA 3 Day Diet Doesn’t Last For Just 3 Days! This diet may be called the 3 day diet, but there are no days off in reality. While you are supplied with a three day meal plan, you have to restrict your food intake in the days that follow. The four days that follow the AHA 3 day diet require you to restrict your calorie intake to between 1200-1500 calories. This ensures that the weight you lose in the first three days remains gone and that the weight loss is sustainable.